Did personal dynamism—and not social or political movements—propel our highest-profile black leaders to power? Harold Washington came out of the south side 25 years ago and took over City Hall. Barack Obama came out of the same place and in several months may take over the White House. Surely the road from Washington to Obama constitutes a dramatic chapter of Chicago history, and surely Salim Muwakkil would be the right person to explain it to me. I gave him a call. 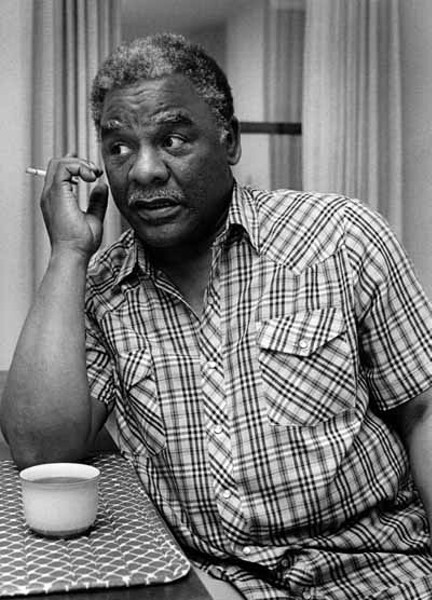 Muwakkil's been fascinated by Harold Washington since 1976, when the writer, new to Chicago, heard Washington describe the intrigue in City Hall after Richard J. Daley died as "Kafkaesque." "I hadn't heard many Chicago politicians with literary sensibilities," Muwakkil says. Today he's a senior editor at Chicago-based In These Times, and Obama is, of course, a preoccupation—but Washington remains one too. Muwakkil provided the text for the recently published Harold! Photographs From the Harold Washington Years, a collaboration with Antonio Dickey, who was Washington's official photographer, and Marc PoKempner, who took pictures of the mayor for the Reader and other publications. But almost to his own embarrassment, Muwakkil has concluded there is no road: Washington just happened, and years later Obama just happened. "I had initially subscribed to the notion that the people produce the leadership," he wrote in the March 18 ITT, "but my look back at the Washington years forced a change in my thinking. Washington's success was largely a product of his personal dynamism and unique political virtuosity. Had he not existed, I concluded, Chicago would still be looking for its first black mayor." 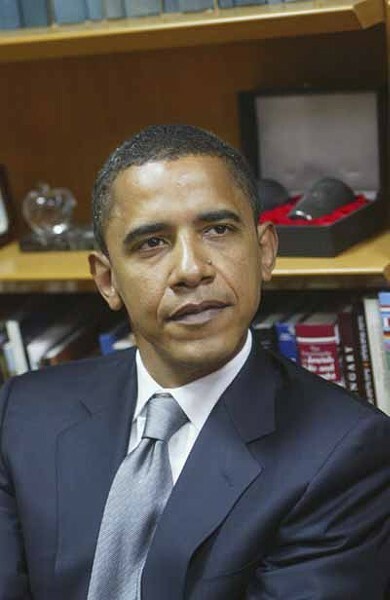 As for Obama, Muwakkil perceived that after Hurricane Katrina "many social critics were describing our current racial climate in increasingly dismal terms." How, then, "to account for white America's apparent willingness to hand the nation's reins to a black man"? What changed "is the prominence of a movement created by one black man's presidential campaign. That movement would not exist without Barack Obama." I'm OK with the idea that one person can turn history on its ear (though I suppose it was Lee Harvey Oswald who taught me). Muwakkil is less OK. "I've kind of rejiggered my thinking," he tells me. "I was pretty comfortable with my former beliefs that the movement is all important and you have to organize the people to express their discontent." He admits, "That's where my fervor is." One chapter of Harold! is titled "The Movement Finds the Man." But Muwakkil doesn't believe movements always find what they're looking for. He calls Washington and Obama each "sui generis," and although he marvels at Obama's "absolute uniqueness, both biological and sociological," that gives him "the bona fides to speak his reconciliation message," he doesn't think Obama, back in the day, could have commanded the kind of near-total support from black Chicago that put Washington over. On the other hand, "I don't think Harold Washington could have ever had the success Barack has had on a national scale." Race relations in Chicago were raw and infected in the early 80s when Washington answered the call to run for mayor. Today I think the nation suffers from a kind of racial fatigue. When an Al Sharpton is certain to hold a press conference tomorrow to denounce whatever stupid thing a Don Imus says today, surely there's a feeling among millions of Americans of all races that "we're getting too old for this." And as a black man who seems to think so too, Obama benefits. Muwakkil agrees up to a point, but he observes that racism isn't the only sore tooth the country's nursing. "The discourse might have been that we need a feminine touch," he reflects. "We've come from the era of Schwarzenegger"—of the Terminator variety, not the governor—"and now here's Hillary—she's the one for that." The country's waging two wars, one of them deeply unpopular, and a charismatic woman running as an alternative to default belligerence might have intoxicated young voters the way Obama has. But Hillary Clinton isn't that woman. Does anyone expect Clinton to respond to men who can't imagine voting for her with a 37-minute speech on the tangled history of men and women together? Or John McCain to reflect at length on the place of the old in a society that makes a fetish of youth? Yet if racism and sexism both survive the November election unscathed then ageism will suffer a blow, for McCain, at 72, will be the oldest president ever to move into the White House. Muwakkil sees how McCain's age might work for him: "You could say that with the looming demographic bomb of baby-boomer retirees, we could be looking for some older figure," he says. "When Bill Clinton was elected I was thinking, 'Wow, the president is my age.' It's always nice to have a president who's a little older." But McCain has been running against his age, and boomers who vote for him because of it are more likely to be in a state of denial than reconciliation. I've been receiving e-mail from the editor of a new magazine who, like so many others who came down this path before him, is an idealist. If success in journalism bore a closer relationship to virtue, there'd be no problems with journalism. The magazine is published in Santa Barbara, California, by the Miller-McCune Center for Research, Media and Public Policy, a foundation created by Sara Miller McCune, founder of SAGE Publications. The magazine's problematic title is Miller-McCune. Its editor in chief is John Mecklin, a former editor of High Country News and alternative weeklies in San Francisco and Phoenix. In the April/May issue, the magazine's first, Mecklin does something interesting. Rather than offer "predictable blather," as he calls it, in his introductory editor's letter, he publishes an exchange of e-mails with the Atlantic Monthly's James Fallows. (Fallows enjoys the sort of big name often lent to inaugural issues.) He asks what sort of stories Mecklin has in mind, and Mecklin, not wanting to reveal anything in the editorial pipeline, answers by describing "a story I would like to publish but likely will not." This turns out to be the inside story of the federal government's National Intelligence Estimate from last December, which said, in effect, that regardless of all the sputtering from the White House we shouldn't worry about Iran's nuclear weapons program. Mecklin wants to know much more, and his questions are good ones. "Having worked in the White House," he tells Fallows, who once wrote speeches for Jimmy Carter, "you know that large decisions are seldom made in the neat, top-down fashion that the organizational flowcharts suggest. The bureaucracy has a life of its own, and every player brings his own personality, power and ulterior motives to the decision dance. How and why the new estimate came to exist, and then came to be released, seems likely to be a story full of characters and dramatic tension." But Mecklin asks much more of the story than just that. "I'd like to see the story that determines whether the release constitutes an improvement in intelligence reporting, a dangerous politicization of the intelligence process, or a one-time event unlikely to be repeated," he continues. "More to the point: In Miller-McCune, I'd like to see that story focused primarily on solutions and authoritative ideas on how the intelligence agencies might hand up politically charged analyses more routinely, and with less opportunity for political massage." But he ruefully allows that "only a handful of journalists have the intelligence sourcing needed to pin it down, and I don't happen to be closely acquainted with any of them." Fallows likes the idea. It reminds him of something the Atlantic published long ago on Vietnam by the late China scholar James Thomson. "He wasn't mainly saying it was a mistake," Fallows recalls. "He wasn't saying what they should have done. Instead he mainly said: It was this combination of personalities, that collection of institutional biases, this reading of history, and that set of deadlines or outside pressures that led to the result. . . . There is far, far too little of this sort of analysis—and maybe I shouldn't use the word 'analysis' at all, since that can be misunderstood as meaning something dry and abstract. I mean a chronicle with gusto. Human characters; narrative drive; the details that convey how real people saw the real world; and then of course the most insightful conclusions the author and editor can draw. Journalism is chronically short of these chronicles." But though few journalists seriously attempt them, we identify with the ones who do. When we set out to write about a war, a political campaign, the collapse of an industry, or, by God, even last night's triple homicide, they're the model for what we wish to produce. And if journalism can keep them coming, it won't matter much what form they come in—in ink or as pixels, whatever. We'll be fine. For more on the media, see Michael Miner's blog, News Bites, at chicagoreader.com.